Facebook CEO Mark Zuckerberg speaks during the F8 Facebook Developers conference on May 1, 2018, in San Jose, Calif. He is pledging more enhanced privacy and other features when it comes to private messages. Critics describe called the move a thinly veiled power grab to sidestep tougher regulations aimed at protecting data privacy that are being considered in California and other states as well as in Congress. Facebook currently allows Messenger users to access end-to-end encryption through "Secret Conversations," but the privacy feature is not turned on by default. Under the proposed changes, Facebook would no longer be a party to these Messenger conversations. The company will also introduce new self-destruct features (like the one already available on the Signal app), so users can set messages to auto-delete or archive in a minute, a month or a year. The changes would help solve the "permanence problem" — embarrassing or harmful data about an individual living on the internet indefinitely. In the blog post, which Zuckerberg published on his Facebook page, the CEO said: "The future of communication will increasingly shift to private, encrypted services where people can be confident what they say to each other stays secure and their messages and content won't stick around forever. This is the future I hope we will help bring about." 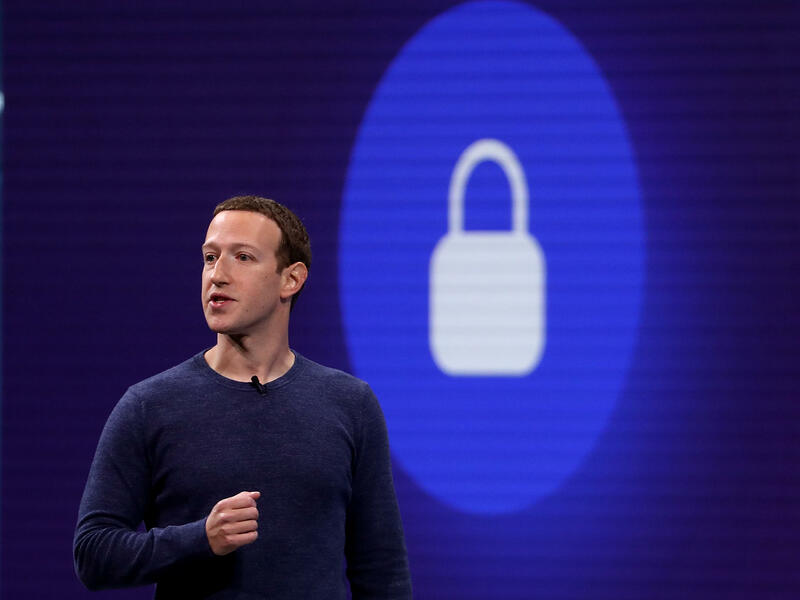 Zuckerberg's post — a wide-ranging treatise on data privacy, online commerce and authoritarian regimes — comes as the company continues to struggle with damage control for mishandling user data, which Zuckerberg acknowledged. "[F]rankly we don't currently have a strong reputation for building privacy protective services, and we've historically focused on tools for more open sharing," he wrote. Facebook plans to let users move between the family of Facebook-owned apps. So users could message from WhatsApp to Instagram to Messenger, and they could also message outside the tech behemoth's properties to SMS. It's not clear yet if Facebook apps will be compatible with apps from Google, Apple and other competitors. Zuckerberg also says the company will not store data in countries with weak human rights records. Ashkan Soltani, an architect of sweeping privacy legislation that passed in California last year, criticized Facebook's announcement on Twitter. He questioned the timing of the Facebook changes to private messages, calling the move a "competition play to head off any potential regulatory efforts to limit data sharing across services," Soltani wrote. He said the move, allowing apps like Messenger, Instagram and WhatsApp to all talk to each other, could further lock in Facebook as the dominant messaging platform. Todd Breasseale, a former Facebook spokesman who has left the company, tweeted: "It will be interesting to see how the antitrust regulators in Europe will interpret this strategy." It will be interesting to see how the antitrust regulators in Europe will interpret this strategy. Obviously, most of the US Congress won’t bother to understand it enough to substantively act one way or the other ... or at least they’ve never indicated they would, previously. The announcement comes at a time when lawmakers are discussing whether a handful of tech giants have accrued harmful monopoly power. On Tuesday, the Senate Judiciary Committee held a hearing on that matter. Editor's note: Facebook is among NPR's financial supporters.